Embroidered Raglan Daygowns are perfectly suited for those who love embroidery by hand or machine. The front of the Gown is made just for embroidery. 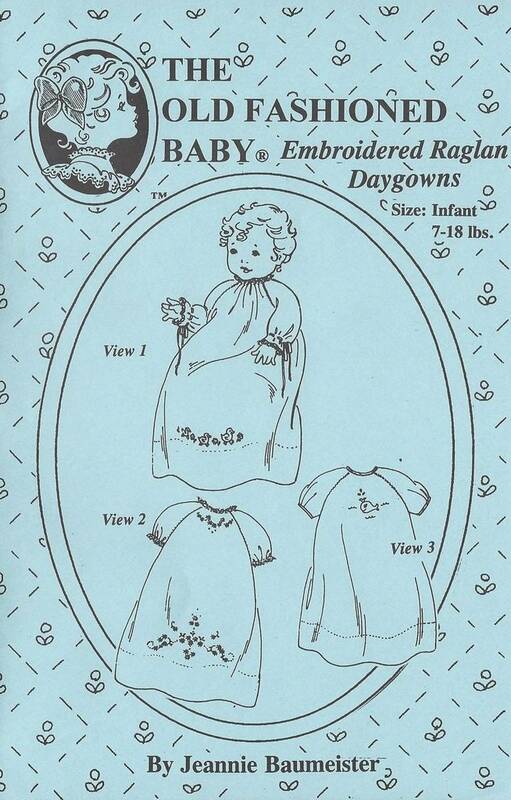 Pattern includes three sweet Daygowns for Boy or Girl Baby. Shadow Embroidered Duck Family or Baby Whale and lovely Heirloom embroidery. Long or 3/4 length sleeves. Bias Binding or Lace Frills. Size: Infant to 18 lbs.